One of the reasons that I’m so interested in docker and it’s associated technologies is because of the new networking paradigm it brings along with it. Kubernetes has a unique (and pretty awesome) way of dealing with these networking challenges but it can be hard to understand at first glance. 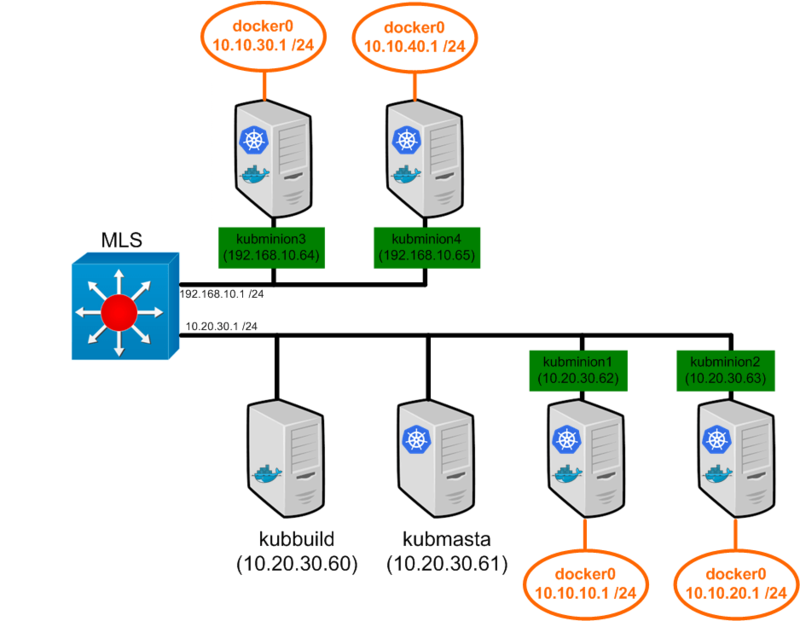 My goal in this post is to walk you through deploying a couple of Kubernetes constructs and analyze what Kubernetes is doing at the network layer to make it happen. That being said, let’s start with the basics of deploying a pod. We’ll be using the lab we created in the first post and some of the config file examples we created in the second post. Note: I should point out here again that this lab is built with bare metal hardware. The network model in this type of lab is likely slightly different that what you’d see with a cloud provider. However, the mechanics behind what Kubernetes is doing from a network perspective should be identical. We touched on the topic of pod IP addressing before, but let’s provide some background so that we’re all on the same page. The Kubernetes network model dictates that the containers off each Kubernetes node should be routable. Recall that the default docker network mode provides a docker0 bridge with IP address in the 172.17.0.0/16 range. Each container will get an IP out of this subnet and use the docker0 bridge IP (172.17.42.1) as it’s default gateway. The catch is that the network doesn’t need to know about 172.17.0.0/16 or how to get to it since the docker host does a IP masquerade (or hide NAT) behind it’s real NIC’s IP address for any traffic sourced from a container. That is, the network would see any container traffic as coming from the docker nodes physical IP address. Note: When I use the work ‘network’ in this post I’m almost always referring to the physical network that connects the hosts together. The multilayer switch (MLS) has two layer 3 segments hanging off of it. One supporting the 10.20.30.0/24 network and the other supporting the 192.168.10.0 /24 network. 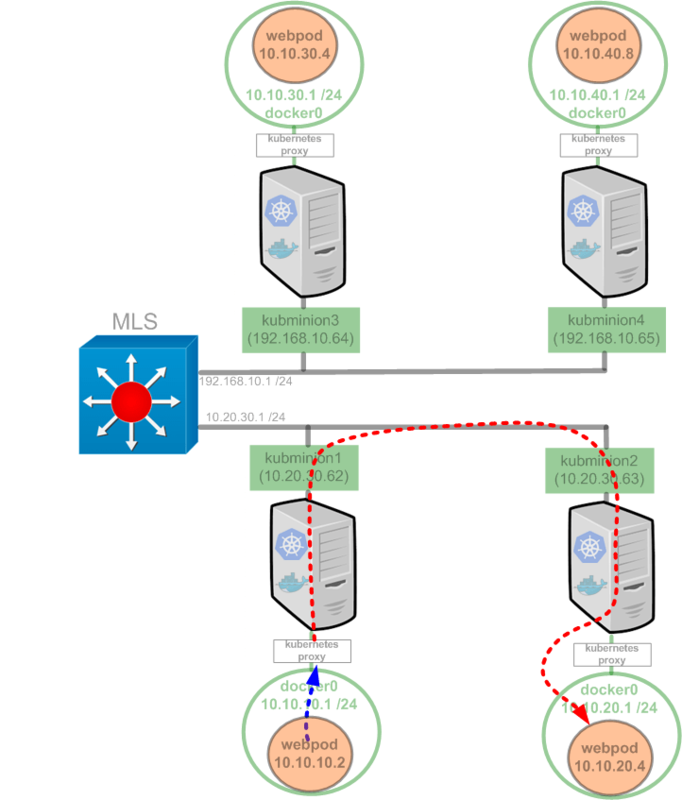 In addition, it has routes on it that tell it how to get to each of the subnets that hang off of the routers (Kubernetes nodes). This also means that containers generated on any node will use the node (docker0 bridge IP) as their default gateway, and the node in turn uses the MLS as it’s default gateway. I’m sort of beating the crap out of this concept but it’s important. Network guys LIKE layer 3 to the edge. Interesting, so if we check the ‘NetworkMode’ of each container we see an interesting configuration. The first container we inspected was running the ‘kubernetes/pause:go’ and has a default network mode. The second and third containers we inspected we’re running the ‘web_container_80’ and ‘web_container_8080’ images that we defined in our pods. Note that each of the pod containers has a non-default network config. 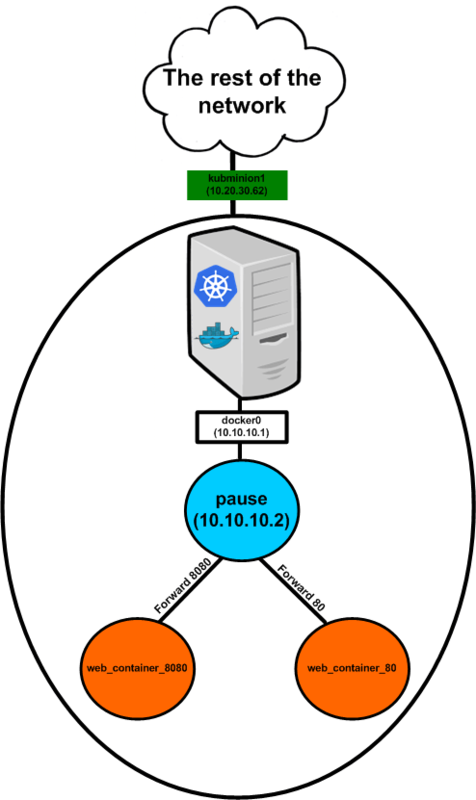 Specifically, each pod container is using the mapped container mode and specifying the target container as the one running the ‘Kubernetes/pause:go’ image. So let’s think about this for a second, why would they do this? First off, all the containers in the pod need to share the same IP address. This makes mapped container mode almost a requirement. However, why don’t they just start the first pod container, and then link the second pod container to the first? I think the answer to that question comes in two pieces. First, linking a pod that has multiple containers could be a pain if you had more than 2. Second, you’re dependant on the first container you linked to. 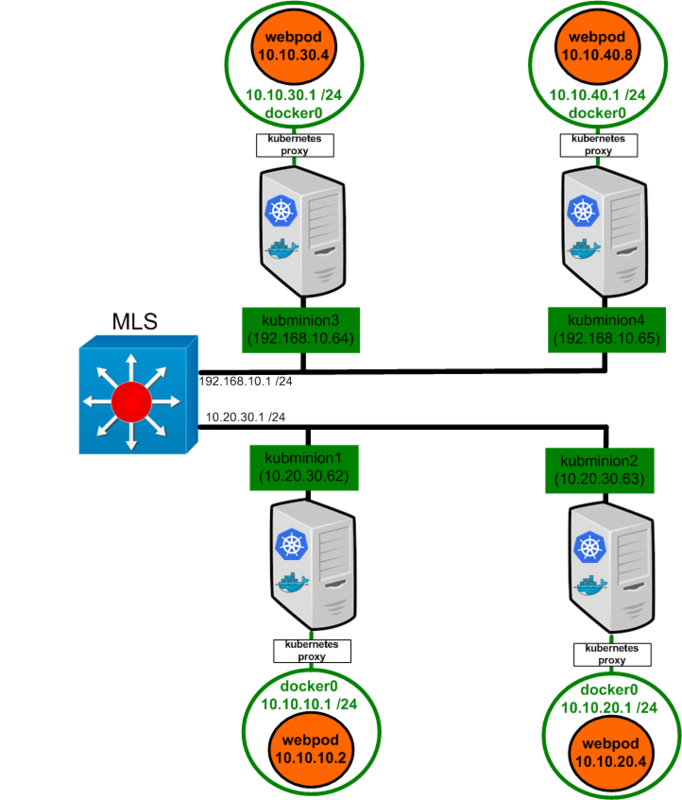 If container 2 is linked to container 1, and container 1 dies, then the network stack on container 2 dies as well. It’s easier (and smarter) to have a very basic container run and link all of the pod containers to it. This also simplifies port mapping as we only ever need to apply port mapping rules to the pause container. There are some rules here, but none of them apply to the pod we just defined. Like I mentioned in the last post, there are some default services Kubernetes provides by default which will be present on each Kubernetes node. That’s what we’re seeing in the above output. The key piece is that we don’t see any masquerade rules or any inbound port mappings for the pod 10.10.10.2. Exact same deal, just changed the container port to be 8080. So let’s define this service in the Kubernetes cluster.. Note: I dont think I mentioned this before but services should be built before pods that match the service selector are deployed. This ensures that the service related environmental variables exist in the containers. Note: I’m talking about the same service as above but the IP address is different. This is an unfortunate side effect of writing this blog over a few days and having to rebuild pieces of the lab in between. Above I refer to the service IP as 10.100.64.250 and below I refer to it as 10.100.87.105. Sorry for the confusion! So what do these rules do? 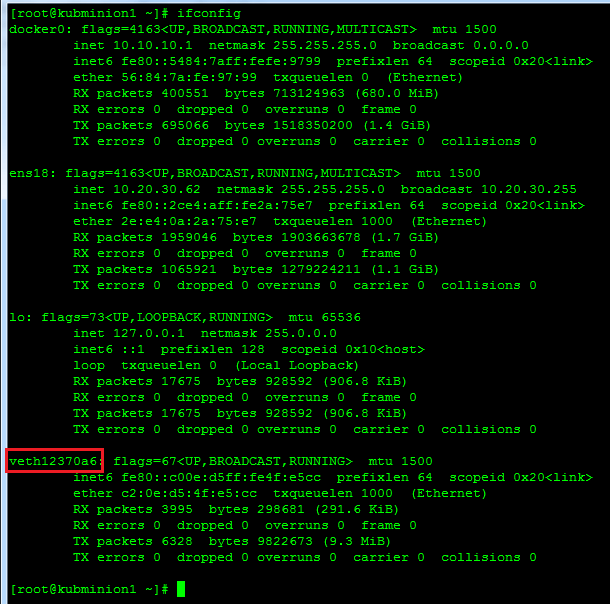 The first line tells the host to match a TCP flow destined to 10.100.87.105 on port 80. If it sees a flow that matches that specification, it should redirect the traffic locally to port 39770. The second line tells the node to do the same thing but in a different manner since you’re covering traffic generated from the host rather than the container. The reason the rule isnt identical is because REDIRECT only works for traffic that’s traversing the host. Traffic that’s generated by the host needs to be tackled with a DNAT rule. Long story short, they accomplish the same thing just in different ways so that all traffic coming off the node headed to 10.100.87.105 on port 80 get redirected locally to the host on port 39770. While the Kubernetes proxy has been depicted as a sort of shim, it’s really just another service running on the node. The redirect rules we saw above are what make the Kubernetes proxy a shim for traffic destined to service IP addresses. Note: In this case we want to capture packets on the servers physical ethernet interface. In my case, it’s called ‘ens18’. Note: I make a point to draw the line around the ‘kubernetes proxy’ on kubminion3. I did this because the kubernetes proxy on kubminion3 is NOT required for this flow to work. Put another way, the proxy service that intercepts the service request talks directly to the pod it load balances to. So if we look at the bottom window first, we see the traffic from the container point of view. The container attempts to open a TCP socket to 10.100.87.105 on port 80. 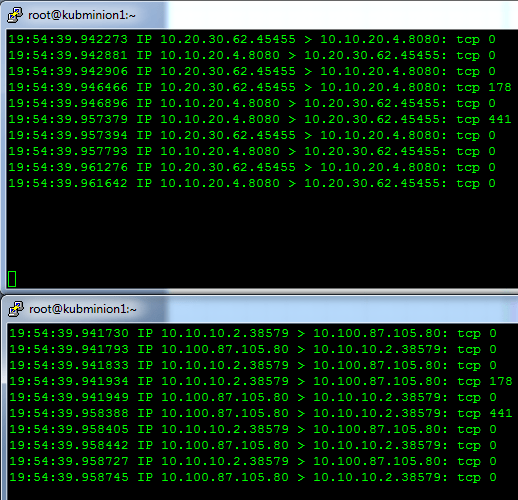 We see return traffic from the service IP address of 10.100.87.105. From the container’s point of view, it’s entire communication is with the service. If we look at our second capture (top window) we can see what actually hit the wire. We see a TCP session sourced from the nodes physical IP address (10.20.30.62) and destined to the pod hosted on kubminion3 (10.10.30.4). To summarize, the Kubernetes proxy service is acting as a full proxy maintaining two distinct TCP connections. The first from container to proxy, and the second from proxy to the load balanced destination. I think you get the point without me showing you the other two possible outcomes for load balancing our test service. The important part to understand about services is that they allow you to easily and quickly scale pod deployed services. One could see how this can be a powerful feature when coupled with pods deployed with a replication controller. But while services handle an important aspect of a Kubernetes cluster, they’re only relevant for pods accessing services living in other pods. Recall, the portal IP space isn’t accessible from the network, it’s only locally significant to the host. So how do things outside the cluster consume applications deployed in the cluster? We’ll cover that in our next post. Very helpful in understanding the network structure underlying Kubernetes, thanks a lot! I missed the link between the first service IP you referenced (10.100.64.250) and what shows up as the balancing IP on kubminion1 (10.100.87.105). Or is this a typo, and 10.100.87.105 is the correct service IP? Ah – Good catch. I think I see what happened. I wrote this post over a 2 day period of time and I think I likely had to rebuild the service halfway through. I’ll add a note to clarify this in the post, thanks for catching it! What the flow will be like if the container has no host port but just has container internal port? 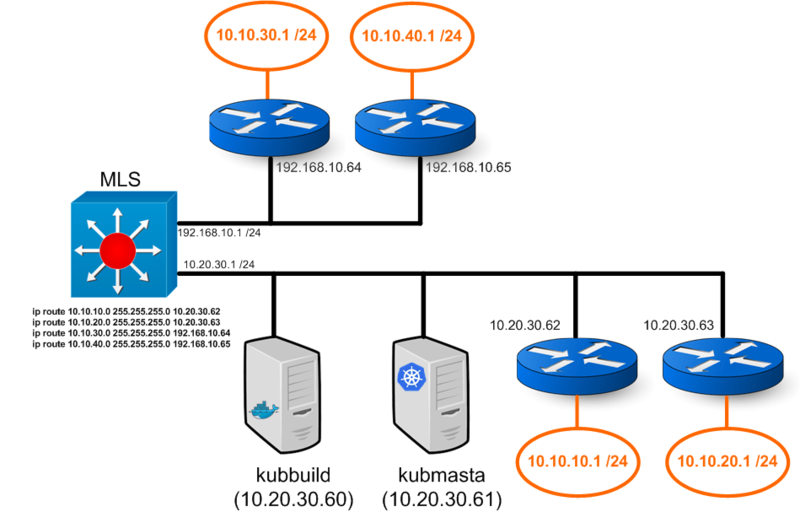 My guess is the kubernetes proxy on kubminion03 will handle the connection with kubernetes proxy on kubminion01 in the first example in your article. Is that right? Thanks. Dont we configure probe for health on service ? How that will be handled when RC added new pod? Awesome, awesome read. If I could put in a request for a future writeup (since I’m so impressed with this and others on your site): Subnetting and Docker Networking for Developers. Docker and Kubernetes are principally aimed at Developers. Yes, Docker’s “configure once, run anything” paradigm makes things groovy for Operations, but you’ll never see an Operations Team at the avergae enterprise say “Hey! Let’s set up Docker/Kubernetes for all future workloads!” The impetus of change from VM -> Docker will almost *always* come from Developers. Ergo it will usually be the Developers setting up Docker/Kubernetes themselves, at the very least in some non-production “sandbox” environment to test things out. The problem here is that Developers are networking dummies for the most part. You and the world-class Devs at Google might be exceptions here, but the average developer will choke hard when trying to build Kubernetes from scratch and define all the networking (subnetting and flat namespacing, etc.) required by Kubernetes’ networking model. I know I am (choking hard)! I think that would be…the best thing of all time…ever. Thanks for putting so much time into this, helped me out enormously! Can you clarify what you’d be looking for in a subnetting article? I’d love to hear what aspects of subnetting you as a developer would like to know more about. That would give me some great direction to build off of. As far as the network model itself, that’s sort of hard to quantify. When I think about the Docker network model vs the Kubernetes model I think about it in tiers. Docker is this ‘thing’ that provides many different configuration options. Kubernetes builds on that by consuming the Docker network constructs in clever ways through the API. Long story short, each has their own merits and use cases. The delineation occurs at a higher level with the question being ‘Do you need a scheduler?’. If so, I think Kubernetes has the network model mostly sorted out. Would love to hear any other thoughts you have on the matter. 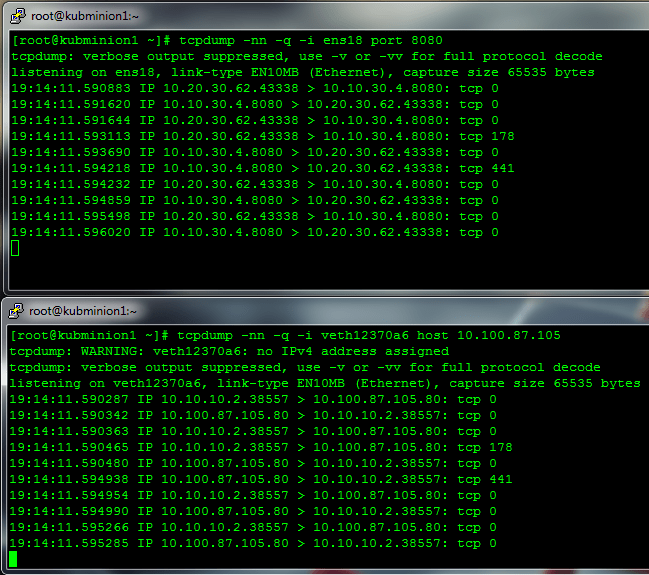 In the 2nd picture, the IP of kubbuild should be .60, not .62. Updated! Thanks for the catch! Kube-proxy is only used to load balance traffic from inside to outside, not vice-versa?? This is an AMAZING article, kudos to you sir! How can capture traffic inside the POD? all the containers have NetworkMode to “pause” container. So, is there any way to capture the traffic? For example: There a mysql and apache in a POD, and they have communication. Thank you for the article. Just one question is about 10.100.0.0/16. How service users will get to the network? Probably MLS should have another one route looks like: ip route 10.100.0.0 255.255.0.0 X.X.X.X. Where X.X.X.X any node with kubernetes-proxy service. Here we get a dilemma what node should we choose without forgetting redundancy in the infrastructure? Any ideas? This was really helpful, specifically in demystifying the pod concept. Thanks a ton. When you execute the curl command, are the pause:go container ports randomly chosen per request, it looks like it from your tcp dumps? Also, am I right to assume that it’s the kube-proxy that sends the curl request to web_container_8080, and that the request is also sent from a randomly chosen port per request? http://www.sysdig.org/ looks useful, if you haven’t already tried it. Keep up the good work! Very nice article, Das. Here is something I think you might add to your next article (now that we are in OpenShift era). 1) How the basic Kubernetes networking requirement is satisfied? In other words, how the Node knows where the destination Pod is? 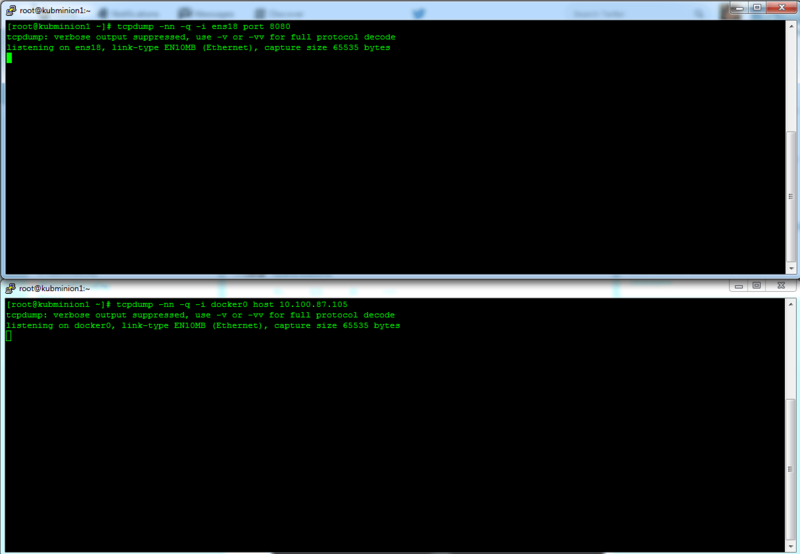 In this case, Node 10.20.30.62 and the MLS (or underlay network) has to know how to reach 10.10.30.2 Pod. 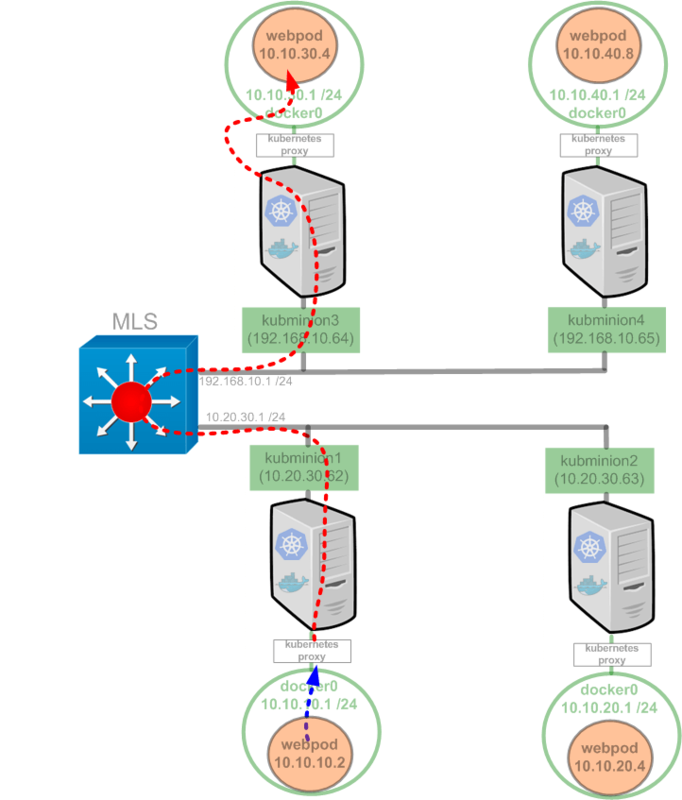 You noted static IP routes on MLS, but showed nothing about the routing table on Node. 2) Kubernetes Networking page shows a few options such as using OVS, Flannel, OVN, Calico, etc. You can discuss the OVS method first, and if time permits write about Flannel, Calico, or OVN networking. Also, discuss about pros and cons of using overlay models and underlay models. Great article. Thank you for posting!